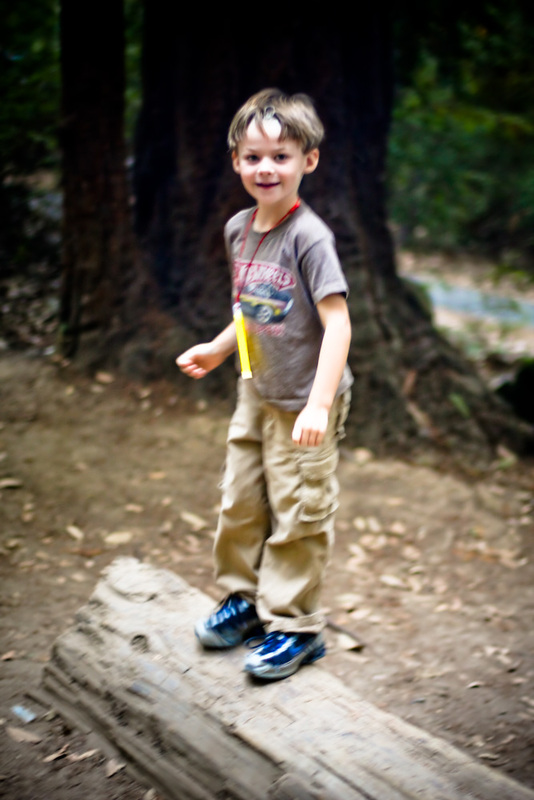 Big Basin Redwoods Camping Trip - Hej Doll | Simple modern living by Jessica Doll. Summer is mostly over and we finally were able to do some non-backyard camping. One weekend we loaded up Jessica’s car and headed to Big Basin Redwoods (Santa Cruz mountains) which is only about an hour from our home. The drive up highway 9 is windy but worth it once you arrive at the redwoods. They can only be described as majestic and beautiful. I wish we lived a little closer to them because they definitely have a calming effect. We only stayed for a single night which made all the setup and takedown use up most of our “relax time”. After we set up we went for a long walk around the space and investigated some of the larger empty trunks and fallen trees. Aiden and Yoda (our pug) definitely enjoyed being in the redwoods and playing with all the wonderful dirt. Jessica proved that she is really good at getting bit by mosquitos. On the way home we enjoyed a nice sunny day at Twin Lakes Beach in Santa Cruz, which is dog friendly. Yoda loved digging in the sand.